What is the cheapest way to get from Croton-on-Hudson to Beacon? The cheapest way to get from Croton-on-Hudson to Beacon is to drive which costs $2 - $4 and takes 35m. 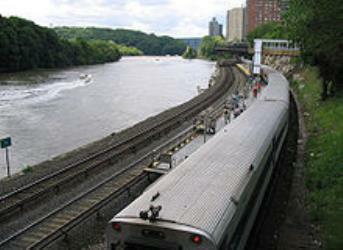 What is the fastest way to get from Croton-on-Hudson to Beacon? The quickest way to get from Croton-on-Hudson to Beacon is to taxi which costs $110 - $140 and takes 35m. How far is it from Croton-on-Hudson to Beacon? The distance between Croton-on-Hudson and Beacon is 21 miles. The road distance is 25.3 miles. How do I travel from Croton-on-Hudson to Beacon without a car? The best way to get from Croton-on-Hudson to Beacon without a car is to train which takes 1h 27m and costs $11 - $27. How long does it take to get from Croton-on-Hudson to Beacon? It takes approximately 1h 27m to get from Croton-on-Hudson to Beacon, including transfers. Can I drive from Croton-on-Hudson to Beacon? Yes, the driving distance between Croton-on-Hudson to Beacon is 25 miles. It takes approximately 35m to drive from Croton-on-Hudson to Beacon. Where can I stay near Beacon? There are 71+ hotels available in Beacon. Prices start at $80 USD per night. What companies run services between Croton-on-Hudson, NY, USA and Beacon, NY, USA? Metro-North Railroad (MNR) operates a train from Croton-on-Hudson to Beacon hourly. Tickets cost $9 - $19 and the journey takes 36m. Rome2rio's Travel Guide series provide vital information for the global traveller. Read our range of informative guides on popular transport routes and companies - including 10 amazing places to get away from it all in Australia, Thanksgiving 2018: How to travel stress-free and Getting to Milan from the airport - to help you get the most out of your next trip. Dia:Beacon, Riggio Galleries is the museum for the Dia Art Foundation's collection of art from the 1960s to the present. The museum, which opened in 2003, is situated on the banks of the Hudson River in Beacon, New York. Dia:Beacon occupies a former Nabisco box-printing facility that was renovated by Dia with artist Robert Irwin and architects Alan Koch, Lyn Rice, Galia Solomonoff, and Linda Taalman, then of OpenOffice. Along with Dia's permanent collection, Dia:Beacon also presents temporary exhibitions, as well as public programs designed to complement the collection and exhibitions, including monthly Gallery Talks, Merce Cunningham Dance Company Events, Community Free Days for neighboring counties, and an education program that serves area students at all levels. With 160000 sqft, it is one of the largest exhibition spaces in the country for modern and contemporary art. Dutchess Stadium is a stadium in Wappingers Falls, New York. It opened in 1994 and holds 4,500 people. It is located on New York State Route 9D. Pollepel Island is a 6.5 acre island in the Hudson River in New York. The principal feature on the island is Bannerman's Castle, an abandoned military surplus warehouse. Rome2rio makes travelling from Croton-on-Hudson to Beacon easy. Rome2rio is a door-to-door travel information and booking engine, helping you get to and from any location in the world. 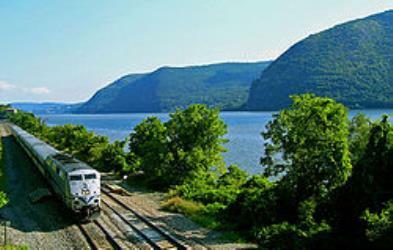 Find all the transport options for your trip from Croton-on-Hudson to Beacon right here. Rome2rio displays up to date schedules, route maps, journey times and estimated fares from relevant transport operators, ensuring you can make an informed decision about which option will suit you best. Rome2rio also offers online bookings for selected operators, making reservations easy and straightforward.